Mohammed Shami's ODI career has been revived. The ODI series against New Zealand was meant to be a true test of India’s chances at the 2019 ICC World Cup and the visitors could not have been more emphatic in their response. Virat Kohli and his men have put the Kiwis to the sword in all three ODIs to race away to an unassailable 3-0 lead in the five-match. The Men in Blue looked imperious in their first ODI series win on New Zealand soil in over a decade. There have been plenty of positives to take for the tourists from their three victories against the Kiwis including the fine return of all-rounder Hardik Pandya from his suspension. However, the most pleasing aspect of India’s dominance over Kane Williamson and his men has been the form shown by pacer Mohammed Shami. In the No1 ranked Jasprit Bumrah and the ever-reliable Bhuvneshwar Kumar, India have two of the most potent pacers in the ODI format. It has been the third seamer that has been one of the bigger headaches for India in the run-up to the World Cup. Various bowlers have tried for that role in recent months including the likes Khaleel Ahmed, Siddarth Kaul, Shardul Thakur, Deepak Chahar and Mohammed Siraj. None of these players have been able to make a convincing statement. All this while, the remedy to India’s third-pacer woes was right in front of their eyes; just that that they have bothered to look just now. 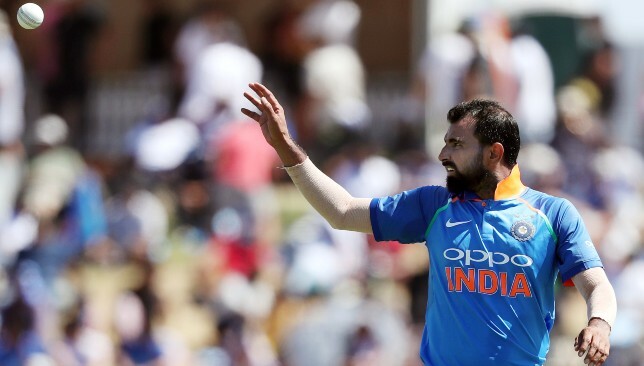 Shami was one of the key bowlers for India in the 2015 World Cup in Australia and New Zealand and finished as the joint third-highest wicket-taker in the tournament with 17 scalps to his name. From being one of India’s leading pacers in the 2015 edition, Shami’s poor track record with injuries combined with poor form saw him become marginalised in the ODI setup in the years that followed. In the three-year period between 2016 and 2018, Shami played only five ODIs for India of which four came against the West Indies. The 28-year-old found himself transitioning into a Test specialist for the country with his appearances being limited to India’s whites for the most part. Shami’s limited-overs international career seemed to be at the crossroads until he was given an unexpected ODI recall for the home series against the West Indies last year. That recall came about only due to the absence of Bumrah and Bhuvneshwar in the series with Shami subsequently picking up three wickets in his two appearances. Despite those modest returns, the pacer was given an extended run in the one-day squad and was selected for the tours of Australia and New Zealand. He has not looked back since. 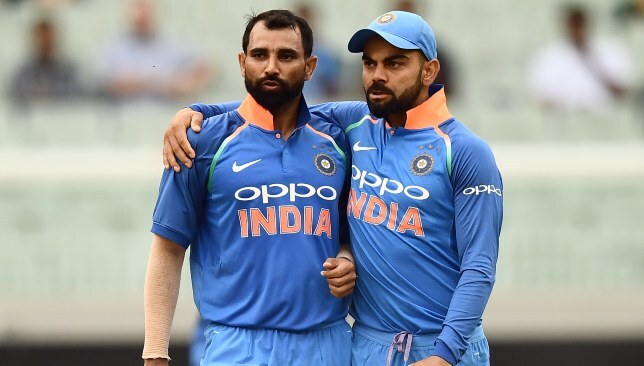 With Bumrah rested after his exertions in the Test series, Shami grabbed his opportunity with both hands by playing a pivotal role in India’s 2-1 triumph in the ODIs. He was economical in the first ODI before picking up five wickets in the next two including two in the decider at Melbourne. 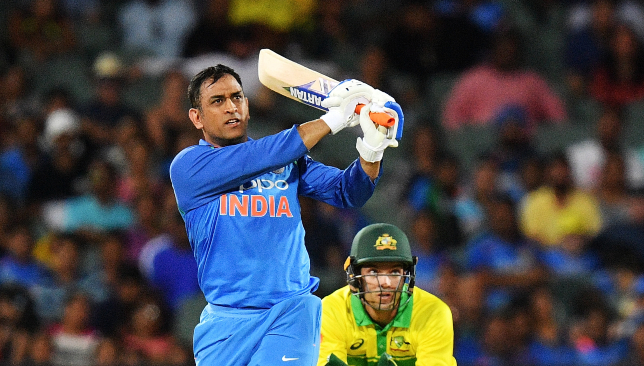 In New Zealand, he has taken his form up a notch with seven scalps in the three games so far including man-of-the-match displays in the first and third ODIs. He has been excellent with the new ball in both series and has even managed to overshadow Bhuvneshwar. His fitness woes look like a thing of the past as well with Shami looking in peak condition despite his heavy workload in the preceding Test series against Australia. “The fast bowling group together believes they can knock any side over. And the belief in his (Shami) own ability and his fitness – this is the fittest I’ve seen him in his career. And his Test form has translated into one-day cricket,” Kohli gushed about the pacer after his display in the first ODI in Napier. With such high praise from the India skipper and an impressive ODI track record which has seen him pick 106 wickets in 58 matches with an average of almost 25, Shami is certain to board the World Cup plane to England. The quickest Indian bowler to reach 100 ODI wickets (56 games), Shami’s resurgence in white-ball cricket could not have come at a better time. The ICC World Cup is on Virat Kohli's mind. 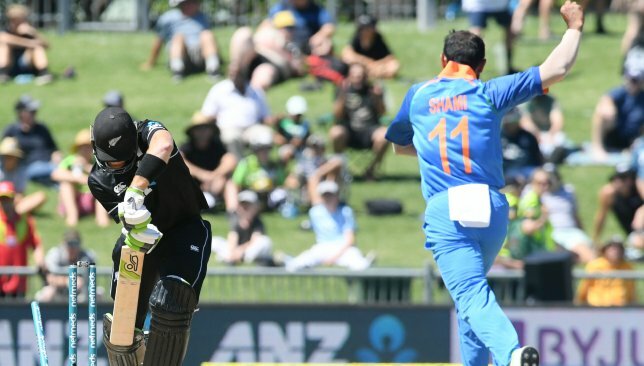 Confidence is brimming in India’s ODI outfit as they get ready to take on hosts New Zealand in a five-match series beginning at Napier on Wednesday. 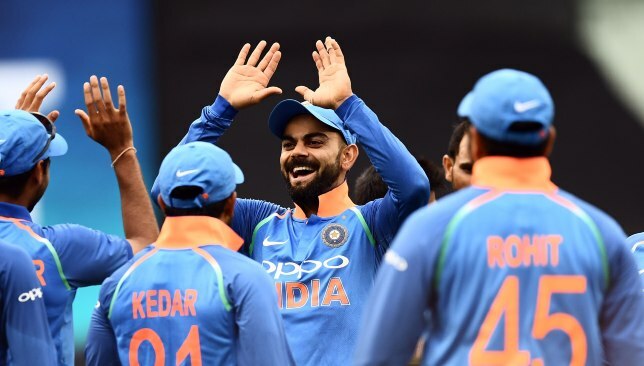 Virat Kohli and his men were convincing if not spectacular in their recent 2-1 win over New Zealand’s Trans-Tasman rivals Australia. However, the Blackcaps will prove a much tougher nut to crack in their backyard for the Men in Blue and will present a test greater by several degrees compared to their Aussie counterparts. With the ICC World Cup in England coming up in less than four months, all teams are busy preparing their respective ODI squads for the showpiece event. Two-time champions India will rightly be one of the favourites for the crown on the basis of their recent limited-overs form. Their greatest threat in the quest for a third crown will most likely come from hosts England who have been flying in the ODI format for some time now with their array of all-rounders and are deservedly ranked at No1. While England and India will be the frontrunners, the Blackcaps are not too far behind. 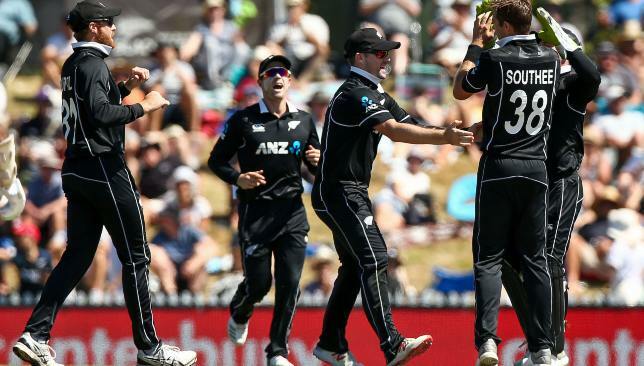 The Kiwis have historically punched above their weight at the international level and are currently the most competitive team going around on all surfaces and in all formats. They have shown an ability to adapt quickly to foreign conditions in the ODI format and gave both India and Pakistan a scare in their backyards last year. At home, the Kiwis are as dominant a team as any, as shown by their series clean sweeps over West Indies, Pakistan and Sri Lanka in the past 12 months. Only one team – England – has been able to topple Williamson’s men in New Zealand in this period. Eoin Morgan’s men eked out a 3-2 win over the Kiwis during their tour in March last year. New Zealand are in red hot form currently. If India are to challenge the Englishmen in the World Cup, they need to gauge themselves against the Kiwis. The Blackcaps are in red-hot form and a series win in their own conditions will be a big boost to India’s World Cup ambitions. While a series win on Australian soil is never to be scoffed at, India will do well to remember that Australia are in all kinds of disarray in the absence of Steve Smith and David Warner. In the three-match series against the Aussies, India also had the benefit of not having to deal with the pace trio of Mitchell Starc, Pat Cummins and Josh Hazlewood. The Kiwis though, are a different proposition. In skipper Williamson they have one of the most consistent batsmen across all formats while in veteran Ross Taylor they have arguably the most in-form ODI batsman. Their bowling attack isn’t too shabby either with Trent Boult leading the line-up and it will be further strengthened with the return to fitness of all-rounder Mitchell Santner. India themselves are looking light in the fast bowling department with the rest handed to Jasprit Bumrah and the suspension of all-rounder Hardik Pandya. With Pandya and KL Rahul still out of the team, Kohli will have to put on his thinking cap to try out other combinations. Team India will not have it easy against the Kiwis. The middle-order is still a worry for the tourists despite the resurgence of MS Dhoni with the bat. Question marks remain over Ambati Rayudu in the number four spot while the lack of an explosive batsman down the order is a pressing issue. 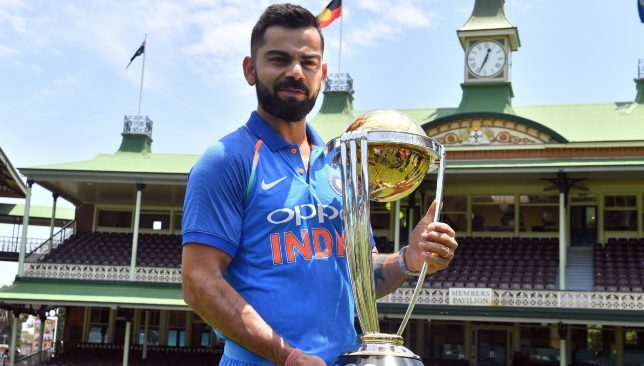 Kohli’s men will take on Australia at home before departing for the World Cup in England but it is their performance in New Zealand in the upcoming series that will show where they truly stand as a team. England got the better of the Kiwis last year. It is now India’s turn to show they can do the same.